Family portrait sessions are fun and memorable at Jesse Valley Photography. 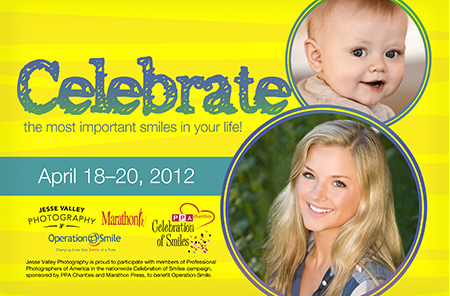 Whether at your home or a favorite park, we’ll capture your family laughing and interacting together. You can even include your pet! These artful and candid memories are perfect for holiday cards, gifts for grandparents and custom art for your home. They say it’s better to give than to receive, so why not do both? Enjoy giving and receiving in October during Family Portrait Month. 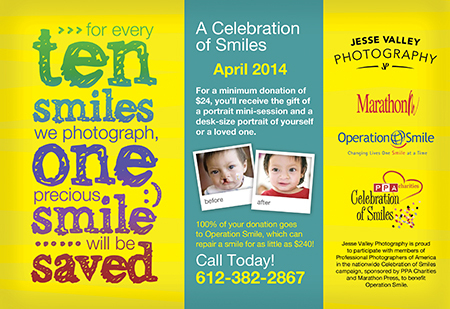 For every family session booked, we’ll give a $50 donation to Operation Smile and you’ll receive $50 off your session. To see more of my portraiture, please visit my portfolio by clicking here. They say it’s better to give than to receive. Why not do both?